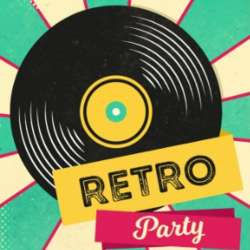 80s&90s party with a vinyl flavor! You must be a member of the Bucharest Spontaneous Activities Group to attend this activity. Would you like to join this group? Funk, Soul, Latin, Pop, Rap, Dance, Rock, Classics, Alternatives tunes, Hit bangers from the 80s and 90s. For Man & Woman, Entrepreneurs, Secretaries, Hipsters, Drivers, the ones to be driven, Shop assistance, Shop lifters, Dancers ... for everybody who is looking for a great night of dance and fun in good company. If you want to remember good old times, here is where you have to be! Let's make together a gorgeous 80s -90s vinyl party!